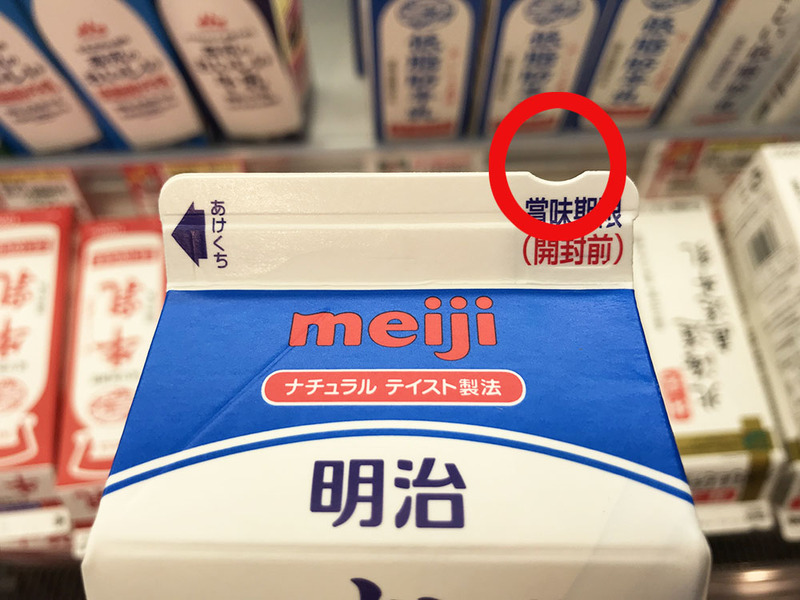 Have you noticed that Japan’s milk cartons have a small arc-shaped cut? Simple design elements that have hidden meanings! Do you know what is the meaning of this small arc-shaped cut on milk cartons? This little gap has an intimate hidden secret. It is designed for the visually challenged so that they can distinguish between pure milk and other drinks. Only pure milk cartons have this cut. Other dairy products that contain milk like milk coffee, flavored milk, yogurt, low-fat milk among others do not have this mark. By using the sense of touch, the visually challenged can easily distinguish between drinks in cartons. 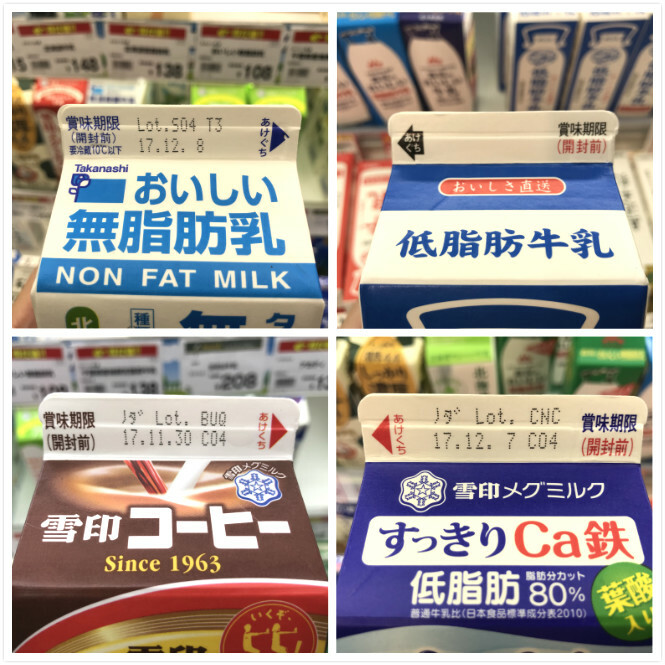 Japan’s Ministry of Agriculture, Forestry and Fisheries conducted a survey wherein they learned that the visually challenged find it extremely difficult to differentiate between milk and other beverages. 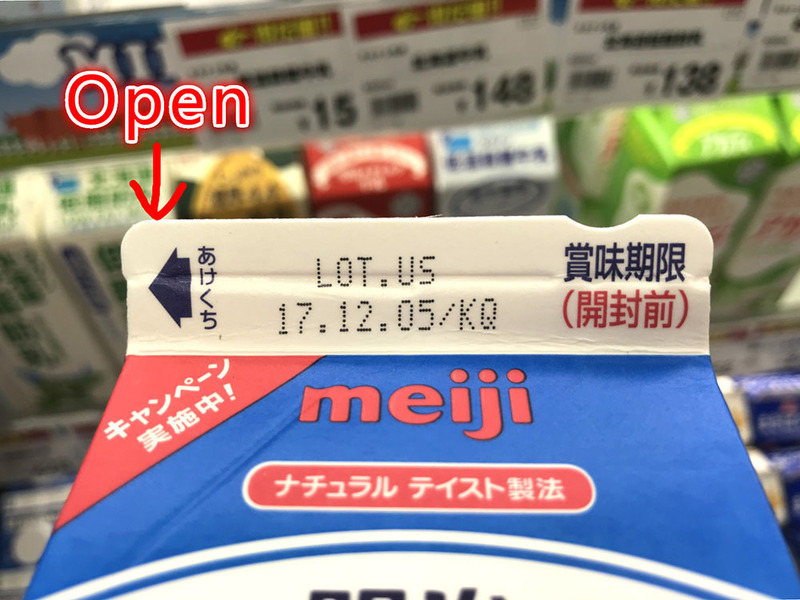 So the government, in collaboration with the private sector manufacturers, designed a small arc-shaped gap on the opposite side as that of the milk carton opening to prevent the visually challenged from buying the wrong milk and this also tells them the correct location of the opening so they would not spill any milk or apply force to open from the wrong side. Two birds in one stone, isn’t it? 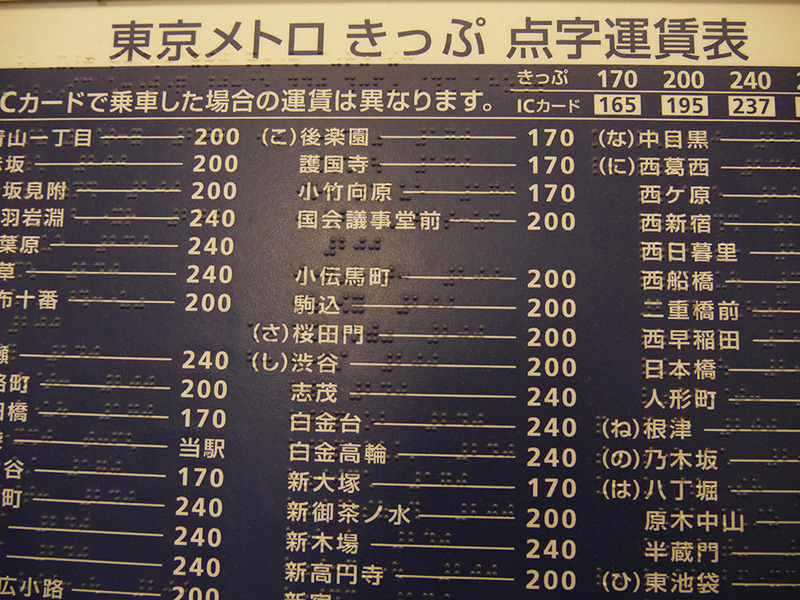 This kind of detail that makes day-to-day life easier for the visually challenged is seen in many places in Japan. Ticket vending machines and handrails near the staircase at railway stations, elevators, even ATMs have instructions in braille. 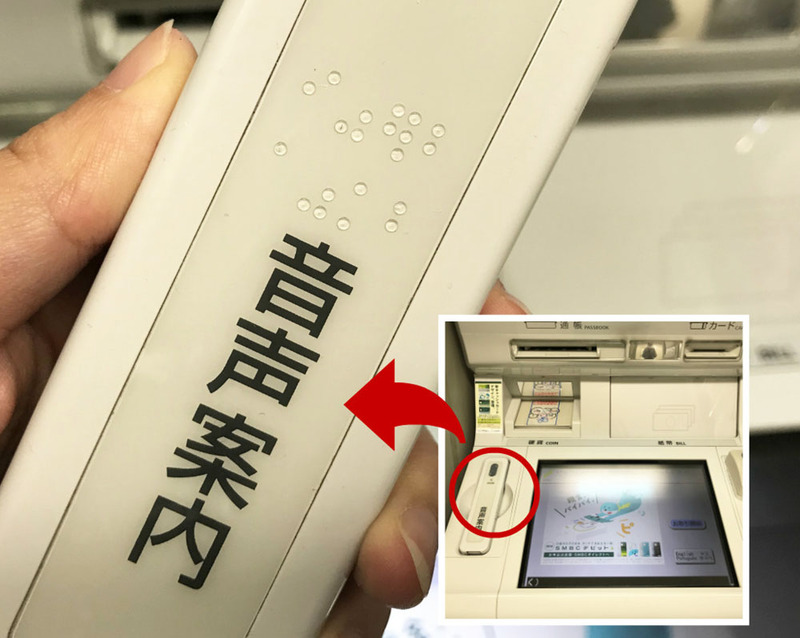 These simple design elements are not just useful for the visually challenged but even those of you who cannot read Japanese can benefit from these. 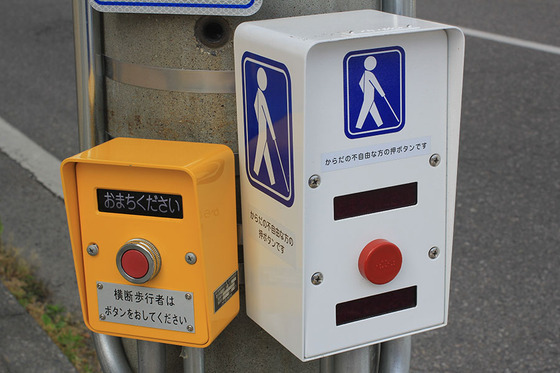 At traffic signals, the red button is pressed when you wish to cross the road in order to extend the green light time. This is especially useful for those who have heavy suitcases or luggage. 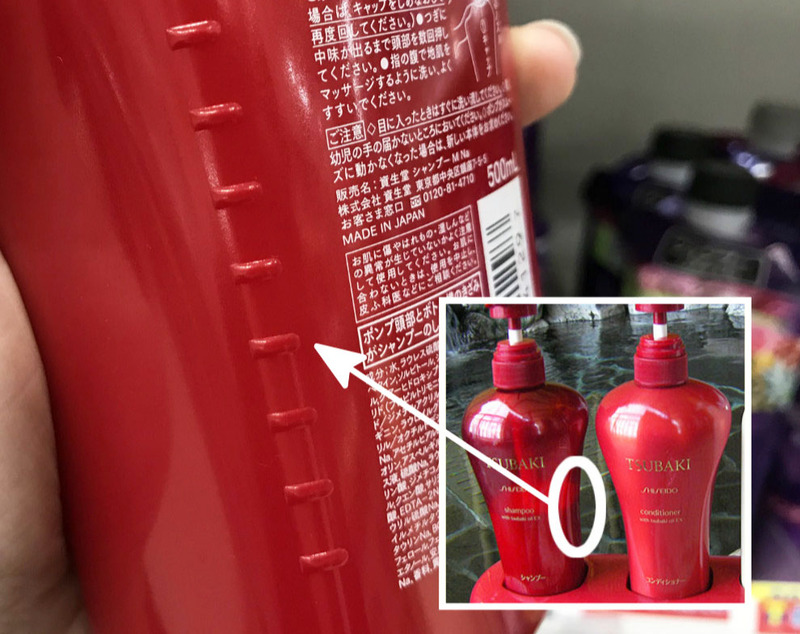 Did you know you could differentiate between a shampoo and conditioner bottle just by touching it? A bottle of shampoo has raised stripes (textured) on the side while a conditioner does not. So now you know which one to buy in case the labeling is all in Japanese. In case of canned drinks, those with alcohol also have braille. 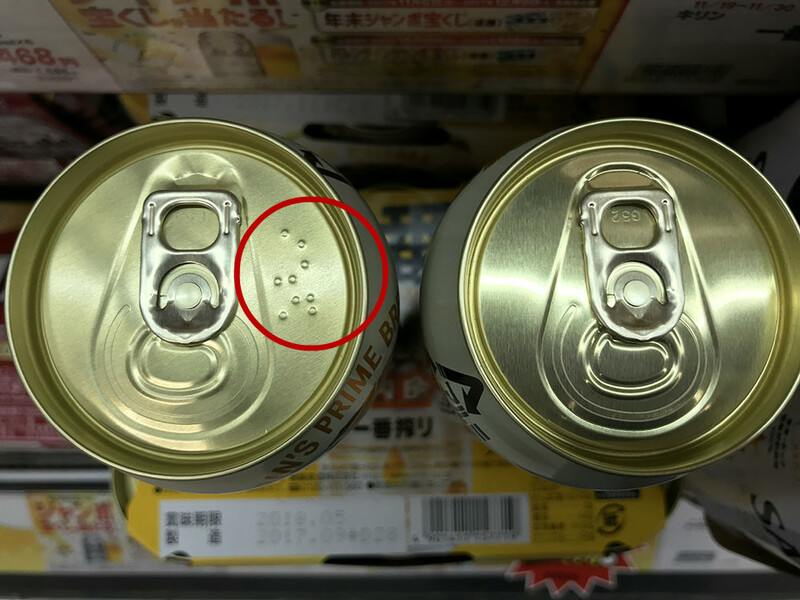 In case you aren’t sure if something has alcohol, then do check for braille on top of cans. 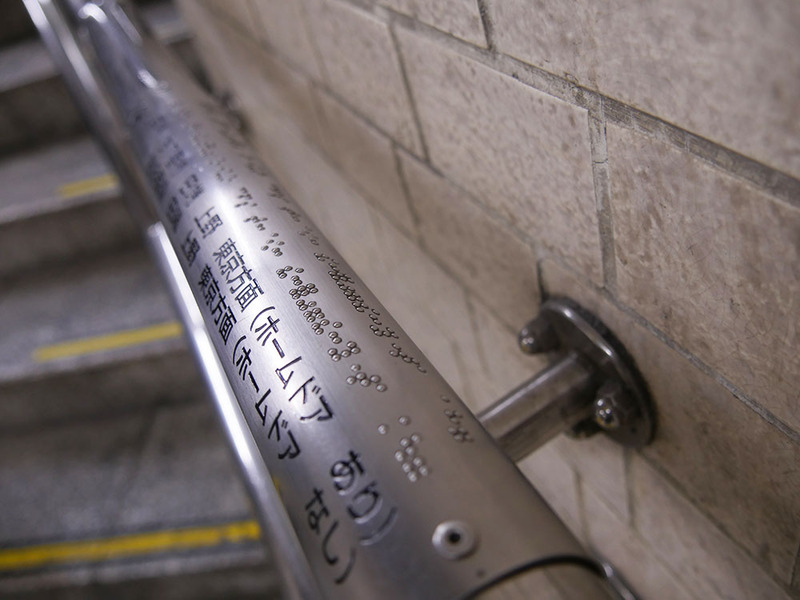 These are just some of the many design elements that have been incorporated in daily life products and spaces in Japan to make life a little bit easier for the visually and physically challenged. Without a doubt, these small changes have helped improve mobility. When you come to Japan, do remember these and especially on platforms make sure not to walk on the yellow safety line (with textured surfaces) as that is for the visually challenged to find their way in and out of the station.